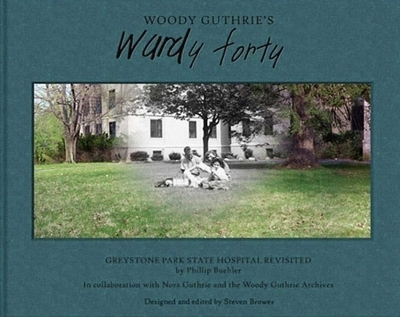 "Woody Guthrie's Wardy Forty" juxtaposes 75 of Buehler's photographs of the abandoned wards with excerpts of previously undisclosed letters from Guthrie to his family; quotes from Guthrie friends and relatives whom Buehler interviewed; and unpublished photographs from the Woody Guthrie Archives, family and friends. The book also includes a photo of Dylan's unpublished, handwritten lyrics of "Song to Woody," which Buehler found during his research. 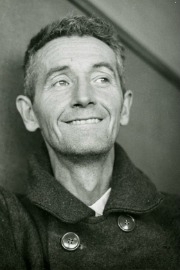 Over the years, the project grew from a simple picture book to a deeper collaboration with the Woody Guthrie Archives. 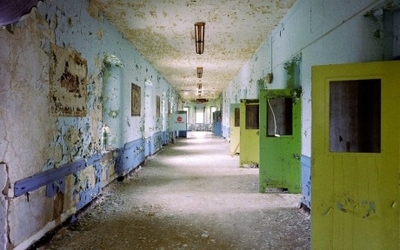 Nora felt it was important to end the book, for example, with an essay on the history of Huntington's written by Alice Wexner, the author of "The Woman Who Walked into the Sea: Huntington's and the Making of a Genetic Disease" and a board member of the Hereditary Disease Foundation. There is still no cure for Huntington's, though drugs exist to reduce its severity and genetic research has made possible new therapeutic approaches. Yet Wexner's essay notes that people with the disease and their families are still stigmatized and "struggle mightily to find appropriate and affordable support and care."